• Central Vacuum models are designed for use with central vacuum system or external vacuum source. Includes combination lip-seal shroud-overskirt, which allows greater workpiece visibility and enhanced vacuum capability. • Dust is extracted away from air motor (reducing contamination) for a smoother, easier path of extraction. • Anti-clog design for efficient sanding of damp filler material. • Includes low profile, premium urethane sanding pad (6 holes). Vacuum shroud has 1" outside diameter vacuum port. 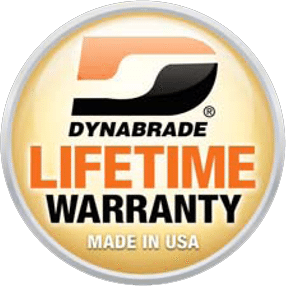 The Dynabrade 58443 6" (152 mm) Dia. 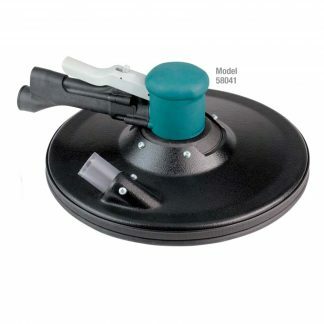 Two-Hand Gear-Driven Sander , Central Vacuum is a Dynabrade tool within the Gear-Driven Sander category of tooling range. Coated abrasives and surface conditioning material Discs of 152mm can be used which can also be supplied by DynaShop. A Central tool with a maximum RPM of 900, a power rating of 0.45 (336) with a weight of 1.8kgs. The Dynabrade 58443 6" (152 mm) Dia. 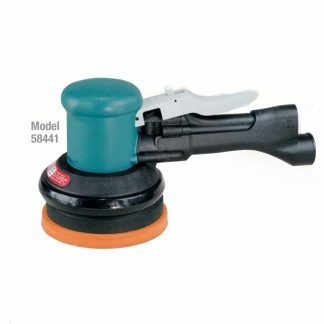 Two-Hand Gear-Driven Sander , Central Vacuum has a Refined Ergonomic Tool Grip that allows for a more comfortable grip and feel, reducing operator fatigue and increasing efficiency. Perfectly-balanced, weight-mated sanding pad with exclusive single-piece hub design. Dynabrade premium urethane pads offer smoother operating performance and minimal vibration. To read our guide on choosing the correct Dynorbital please read here. Please complete the form below to arrange a tool demonstration for the Dynabrade 58443 6" (152 mm) Dia. Two-Hand Gear-Driven Sander , Central Vacuum or any of the Dynabrade range of tooling. Alternatively please call us on 01273 468736. Vibration readings for the Dynabrade 58443 6" (152 mm) Dia. Two-Hand Gear-Driven Sander , Central Vacuum are dependent on a number of factors that include the abrasive being used, the job in hand and operator experience. DynaShop or Dynabrade cannot be held responsible for the consequences of using the listed values for risk assessment, rather than actual values unique to each situation. Simply fill out the form below and the vibration data for the Dynabrade 58443 6" (152 mm) Dia. 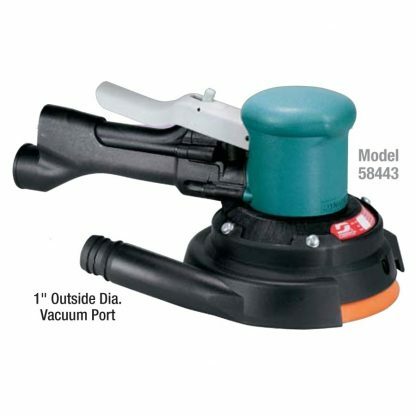 Two-Hand Gear-Driven Sander , Central Vacuum will be sent to your email automatically.